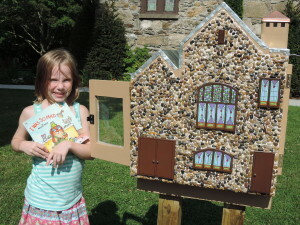 Banner Elk Presbyterian’s Little Free Library is open and ready for action! Take a Book, Leave a Book! One of more than 25000 similar offerings across the country, our library was created and constructed by Beth Shaffer of Greensboro. Beth was married in our church, and has spent decades returning to Banner Elk with family members who are devoted alums of Lees-McRae. 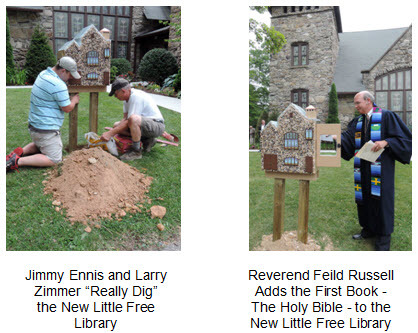 Little Free Libraries follow Andrew Carnegie’s support of a free library system at the beginning of the 19th century, and have blossomed into both community-building and literacy-promoting efforts. Building a love of reading through free book exchanges and sharing skills, creativity and wisdom across generations are the library mission building blocks. Enjoy! 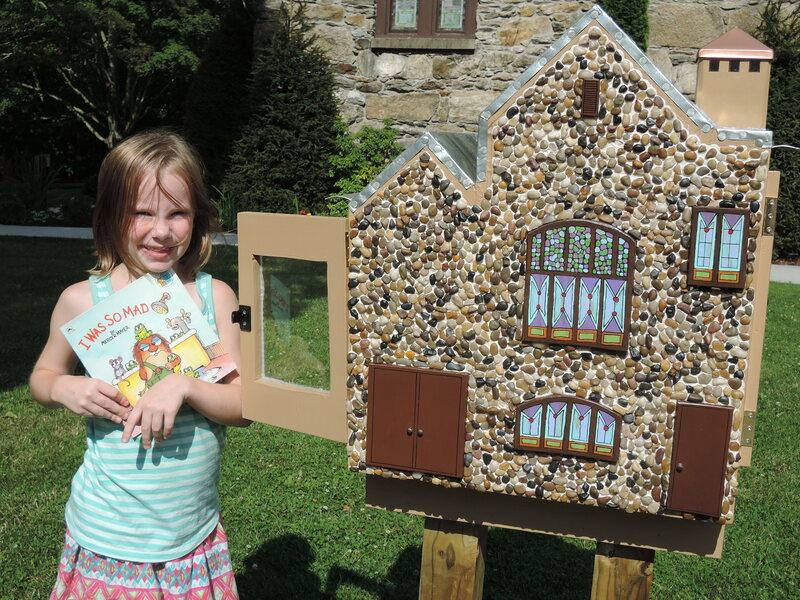 Seven-year-old Ashlin Kate took full advantage of the new Little Free Library at BEPC!